Orlando, FL – April 12, 2016— Kevin Hodes, President of Swypit, was recently featured as a guest on Hollywood Live. The show was filmed in Los Angeles, California in the penthouse of the Hollywood Roosevelt Hotel, overlooking Hollywood Boulevard. Kevin Hodes was featured on the show, hosted by Jack Canfield, best-selling author and co-creator of The Chicken Soup for the Soul series. Kevin Hodes was given the chance to share expertise in the business. 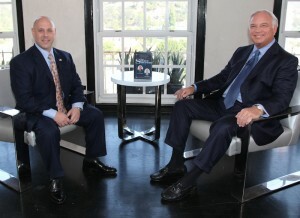 Watch Kevin Hodes’s appearance on “Hollywood Live” here. To learn more about Kevin and his services, please visit www.swypit.com. Kevin Hodes is the founder, president, and CEO of Swypit, a nationwide credit card processing company. For almost two decades, Kevin has been bringing honesty and integrity to the world of credit card processing. He made his business successful because credit card processing has become so much more than just a business to him. It serves as a vehicle that allows him to maintain strong relationships while giving back to the community.